Very exciting news! 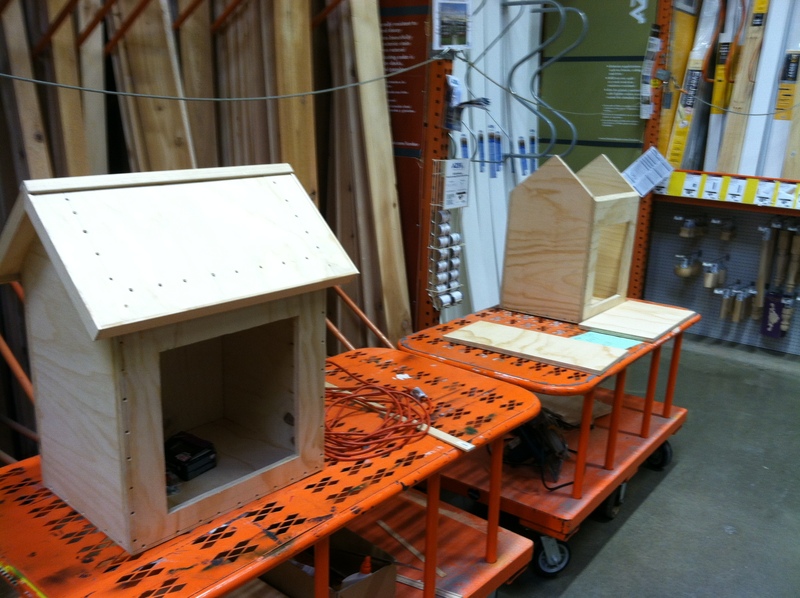 We just heard from Home Depot in Athens that our 2 Little Free Libraries are almost ready for delivery to the school. Kenneth Simms, Operations Manager, sent us a photo of the progress late last night. We can’t wait to get these libraries to our school to begin decorating them in art! We can’t thank Home Depot enough for all they are doing! This entry was posted in Participatory Culture, student project, Uncategorized and tagged community, donation, little free library, support.